Now while the team winning the ALL – Star Game is 8 – 4 overall in the World Series itself, only 2 teams have actually had to use Game #7 for home field advantage. 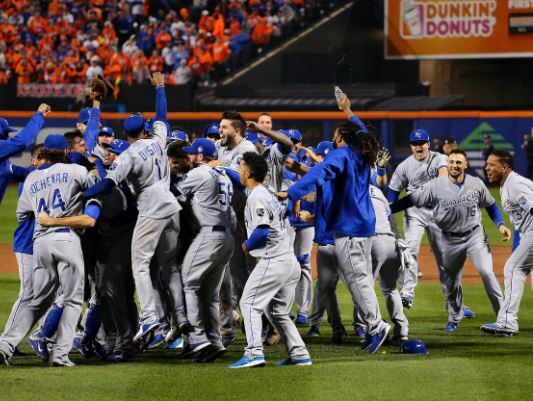 That was the 2011 St. Louis Cardinals and the 2014 World Series – where the visiting Giants took down the Royals. There have been 4 Sweeps, 3 series ended in 5 games, 3 series in 6 games, and only two series in 7 games. In 2003, the Yankees had the best record and they both played 3 games in each others field. In 2004, Each club played 2 games each in their home park. In 2005, Each club played 2 games each in their home park. 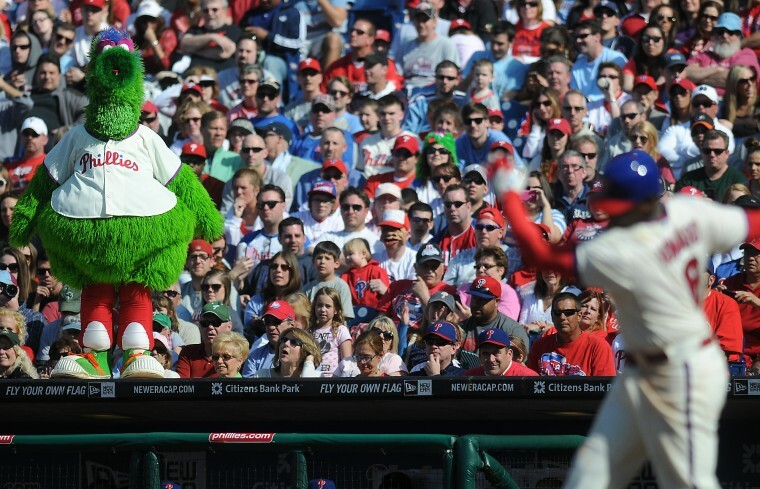 It may not seem like a great time to be a Phillies fan, but it is. Because of the great unknown. It is a “City of Brotherly Love” episode of The Sully Baseball Daily Podcast. It is Sunday and time for The Sunday Request. 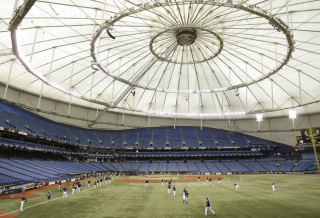 Michael Lortz, the creator of Tampa Bay Baseball Market joins the podcast to talk about Tropicana Field and the potential future of the Rays. Mike is a Rays fan who wants the team to stay. He breaks down the potential ways the fan base could grow. It is a save the team Episode 922 of The Sully Baseball Daily Podcast. David Price, Kyle Blanks, Tim Huson, Jean Segura, Francisco Liriano, Andrelton Simmons, Wade Miley and Nelson Cruz all added to their totals for Who Owns Baseball? Follow Tampa Bay Baseball Market by clicking HERE. 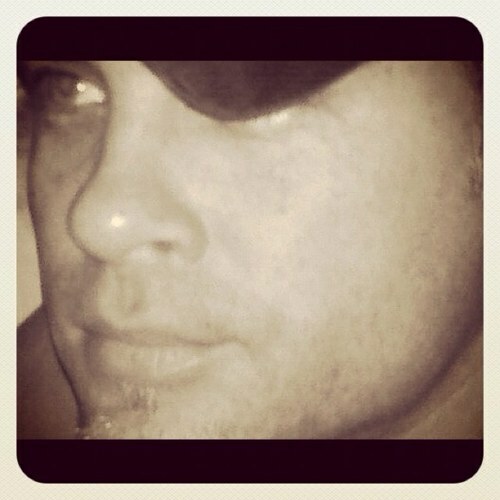 Follow Michael Lortz on Twitter by clicking HERE. 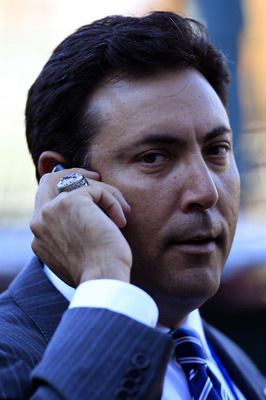 Why Ruben Amaro Jr. Should Be Fired Right Now! Ruben Amaro JR and the brass of the Phils should have faced the facts – and started dismantling their team before they lost any relevant value over the last few years. Now players like Rollins, Burnett and Utley have had their Vesting Options all exercised – and with the exception of the 2nd baseman, none of them have any trade value. Add brutal dollars owed to Howard and Papelbon, and this team is headed for financial peril. I believe that if any GM were asked what is the organization that they would least like to take over the answer would be the Phillies. This team is a train wreck and it starts with up top where a new general manager is needed. The Phillies even with the money that they generate are a long-term project that won’t be easy to fix. Rubens tenure started November 3rd 2008. The team had just won the World Series under the tutelage of Pat Gillick. Amaro had a team that could have brought a dynasty type of run to the franchise. After a slow-moving regression that went from World Series Appearance in 2009, to NLCS in 2010, and then NLDS in 2011, the team finally missed the playoffs. The core began to grow older and become expensive. It has been apparent the squad needed a rebuild on the fly, but the powers that be have sat on their diminishing assets too long, and now the apples have become rotten, and not useful to other 29 teams. It is a flawed way of thinking – and will set the organization back 3 – 5 years. Out of our entire staff here at MLB Reports, we all hold the same opinion about Amaro JR. – and in this article, we have all added our 2 cents in some form. 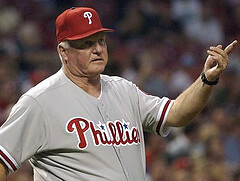 Be sure to listen to Sully’s great podcasts about the Phillies at the end of the blog. The Phillies are thinking of rebuilding. 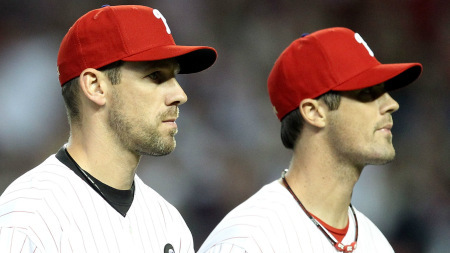 And if that is the case, they should deal pitchers Cliff Lee and Cole Hamels, right? NOT SO FAST! They might be better off just holding onto them. Why? Listen to The Sully Baseball Daily Podcast. MLB Player Profile: How Valuable Has Ben Zobrist Been To The Rays? Ben Zobrist has quietly tuned into one of the best all around players in the game of baseball. He has finished in the top for WAR in 3 of the last 5years – including 1st in 2011 and 2nd in 2009. Zobrist, 32, who continued this season with his musical chairs defensive role on the team this year, has two years left on his current contract, and will be a Free Agent at the end of the 2015 season. It was the summer of 2006, that the brass traded Aubrey Huff for the young player. Zobrist has played 1500+ Innings in 4 different defensive positions for the franchise (SS/2B/RF/LF – and it helps Joe Maddon bring in favorable platoon matchups for several other lineup spots). 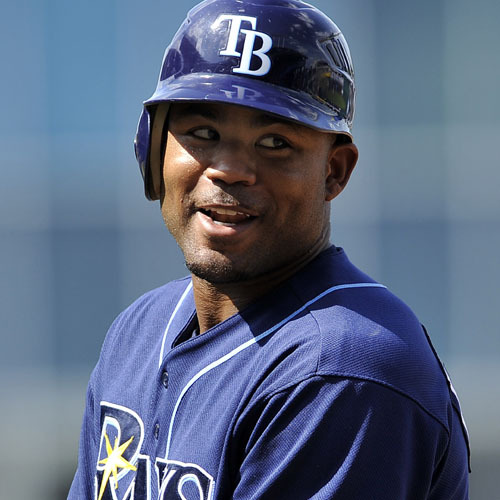 He has a career 3 Slash of .263/.354/.789 in 8 seasons for Tampa. Picture how bad the Tampa Bay Devil Rays were when the Houston Astros traded Ben Zobrist with Mitch Talbot to the Tampa Bay Rays for Aubrey Huff and cash on July.12/2006. The team was in the 8th season out of 9 years of under .500 ball. The guy he was traded for had great offensive acumen, and was the franchise leader in several career categories as he departed the door. 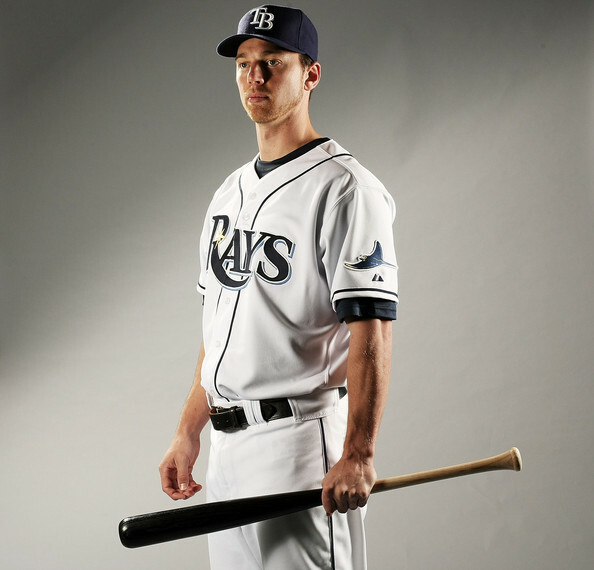 Zobrist had an auspicious beginning with the Rays, struggling during the 2006 – 2007 years. His OPS numbers for those years were .572 and .391 respectively. 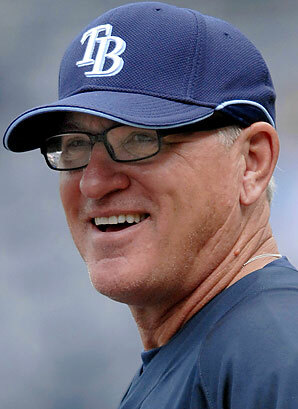 Joe Maddon was not as worried as others were about the 6th Round Drat Pick of the Houston Astros back in 2004,because the guy would be a Maddon type of player. The A’s wrapped up their 16th AL West Title in 46 years since moving to Oakland yesterday. They have clinched the Division at home the last 2 years. 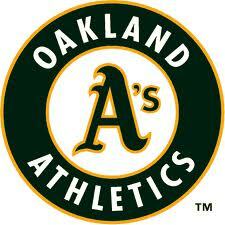 They beat out the Rangers and Angels – clubs that double their Team Salary of roughly $65 MIL in 2013. It is a simple rule of economics how these teams have built their teams. Yep, but you must look a little deeper. Over the course of the last year, I have constructed both teams entire Roster Trees. The Athletics and Rays have been incredible at finding Free Agents, that cost exactly zero assets back in return. Just look to Bartolo Colon, Coco Crisp and Yoenis Cespedes for the A’s, while Fernando Rodney, James Loney, Casey Kotchman and Rafael Soriano all have signed Free Agent contracts on limited years recently over the last several seasons. It corresponded with the players having the best years of their careers, or complete renaissance’s for a bargain based salary. I certainly wish Amaro was a little more Ben Franklin and a lot less Daft Punk as 2013’s Song of the Summer, “Get Lucky”, coincidentally captured the embattled GM’s philosophy for this year’s Phillies. When the song’s lyrical hook defiantly proclaims, “We’ve come too far to give up who we are”, I can easily see Ruben’s head bobbing an arrogant yes, yes, yes to the beat en route to his office at One Citizens Bank Way. Unfortunately, who the Phillies are right now under Amaro’s stubborn direction are a team that is painting themselves into a corner. The current roster carries several veterans already past their prime, but with very few promising young stars in the making ready to carry the torch. It should be obvious to most that Ruben Amaro Jr.’s ego has been waging war against his own rational sense of decision-making and his ability to consider the future of this Phillies franchise since he was handed the keys to the palace back in November 2008. A speckled and spotty track-record ripe with big-splash acquisitions along with several transactions banking on a player’s abilities of yesteryear–each of which left the cupboard mostly bare down on the farm–is all he has to show during his tenure as the big boss man. Even the most optimistic of Philadelphia fans (including myself) now envision the Phillies ship as a tired, rudderless old vessel drifting through uncharted waters without a compass. How did it ever come to this? The year started with the struggles of two of their three ace pitchers, followed by injuries off and on to other key players – including Doc Halladaay. With their former ‘CY Young Winner’ potentially coming back at the end of the year, plus talk of possibly signing him to an incentive laden contract for 2014, added with a new deal for Chase Utley, the Phils are hoping to extend their chance of a contender for at least one more year ‘next campaign’. Improved play from Domonic Brown and Ben Revere (before being hurt) – also has cause for optimism in 2014. They will need to find a 3B, a Catcher, a new Closer and a 3rd OF, however that won’t require the farm being spent. Today we examine the possible moves by Ruben Amaro Jr. at the Trade Deadline this year before we get to that point. The time has come, Phillies fans. Make no mistake about what you’re seeing on the field and reading in the papers, sell mode has now become a reality. Perhaps I may be channeling my inner Captain Obvious, but for the sake of those still holding out hope, change is a-comin’. After the ugliest road trip in recent memory mercifully came to an end, the Philadelphia Sports Media pulled no punches welcoming several Phillies players to Seller-dome. Several general managers around the league will be jockeying for position over the next few days to make their pitch to Ruben Amaro Jr. for the rights to employ Utley, who is arguably Philadelphia’s most beloved & admired athlete in the city’s history. However, even if Don Corleone made Amaro an offer he can’t refuse, I’d tend to lean towards the belief that he’d send the horse head back with his deepest regrets. 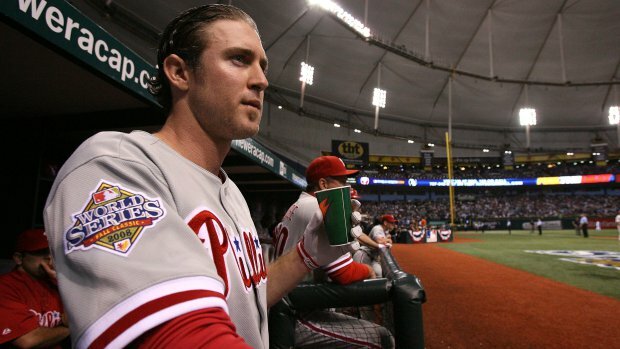 In the past 48 hours, there have been encouraging signs of a contract extension brewing between the Phillies and Utley. There are some things in life that can never be done. For example, it is impossible to move your leg in a clockwise circle and simultaneously draw the number “6”. Now that you know this, I’ll give you time to try it, go ahead. It is impossible to run in flip-flops…for which there should probably be an Olympic event. It is impossible to sneeze with your eyes open and finally, it’s GOT to be darned near impossible for the Phillies to trade Chase Utley. Right? Matt Garza was the big fish in this year’s trade deadline. There were plenty of teams that him had him on their radar, and they scouted every game he pitched for the Cubs this season. He won six games for them this season with a 3.17 ERA in 71 innings pitched to go along with 62 strike outs and 20 walks. He has a WHIP of 1.14 and has only given up eight home runs on the season. Garza is holding the opposition to a .229 batting average, while righties only hit .224 when facing him. He is good when runners are in scoring position, as indicated by teams just managing a .245 average. The Rangers got the pitcher they wanted, and he should bring some stability to their rotation. The Chicago Cubs were trying to find the perfect trade partner this season with them having the premier starting pitcher available this trade deadline. Matt Garza was the best pitcher on the market for teams who needed help with their rotation could acquire. The one caveat is that those teams would have to give up very good prospects in their farm system to obtain his services. The 2013 Draft has come and gone – and will take years to decide how good each teams selection was in the 1st Round. We decided to take a look at the top 5 Picks again. 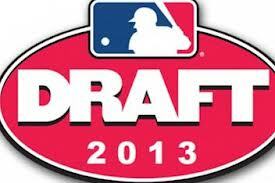 How quickly can a teams fortune change with top 5 MLB Draft Picks?? Think of the 119 Loss 2003 Detroit Tigers drafting Justin Verlander – and going to a World Series just 3 years later. Tampa Bay Devil Rays picked 1st for many years, finally having their players come together in 2008, once Evan Longoria, James Shields, B.J. Upton and David Price asserted themselves in 2008. A horrid Washington Nationals team losing 95 -100 Games every year drafted Stephen Strasburg and Bryce Harper in successive drafts – before cranking out a franchise record 98 Wins just a couple of years later. The Astros, Cubs, Rockies, Twins and Indians sure hope the 2013 Top 5 Picks will warrant heavy discussion as a great class of picks as the years go by. Ryan Howard will need to remain healthy – and be a force in the Phillies lineup for the club to make a charge in the next 5 months of the year. Howard is owed a Minimum of $105 MIL over 4 years (He is paid $20 MIL in 2013, and $25 MIL per year from 2014 – 2016 – with a $23 MIL Team Option – or a Buyout for $10 MIL). On Friday night, Phillies First Baseman, Ryan Howard, honored his favorite teacher as the Phillies celebrated Teacher Appreciation Night at Citizens Bank Park. This is nothing out of the ordinary for “The Big Piece”, a nickname he acquired for obvious reasons other than its metaphor which tells us just how important he is to this team and this city. 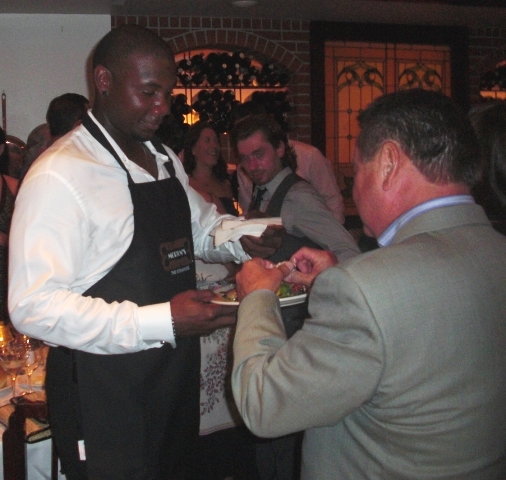 After all, Ryan Howard is one of the team’s most charitable athletes and most visible volunteers in the community. His dedication to his adoptive city of Philadelphia has been felt through several charities such as Ryan Howard’s Celebrity Servers, his work with the Police Athletic League, and his pride & joy,The Ryan Howard Family Foundation. The list of donations and events this charity has raised and participated goes on and on. Athletic equipment to city schools, scholarships to student athletes,Winter coats and warm meals for the hungry and indigent during the holidays just to name a few where Howard has touched the hearts of so many in our fine city, like this sweet, young boy this past Friday. 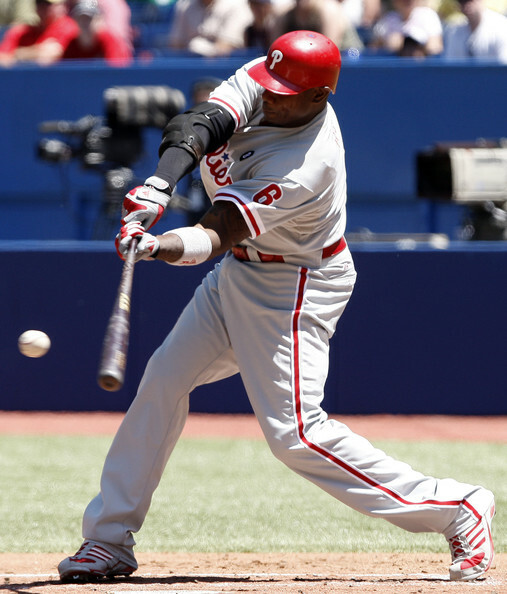 Ryan Howard once was an extremely great OBP Player before the last couple of years In his MVP year (2006) – he was 5th in the NL with a .425 OBP. He went for a .392 clip in 2007, before a precipitous fall to .339 in 2008. 2009 saw a .360 mark, 2010 – .353, 2011 – .346 and finally a Career Low in 2012 for the tune of a .295 OBP. This year he is not much better at ,303. Howard’s Career 3 Slash Line is still .271/.363/911 but plummeting. The late, great Harmon Killebrew, author of 573 Home Runs during his Hall of Fame career, was also exceptionally talented in another skill when he stepped to the plate: drawing Walks. Killer was an 11 Time All – Star and a 6 time HR King. He also hit 40+ HRs 8 times. The man had a Hall Of Fame Career. The Phillies could take a page out of Killebrew’s patience…He Walked 1559 times in 2435 Games Played. His 3 Career Slash was .256/.376/.884. Amen to that. Killebrew didn’t need to say much at all on the matter as his patience did all his preaching for him. 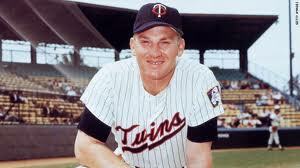 He led MLB in free passes four times in his career – with a high mark of 145 drawn in the 1969 season. It’s not a coincidence that he went on to hit 49 Home Runs and drive in 140 RBI that Summer. And in his best seasons, Killebrew would crack the 100-Walk plateau seven times while reaching 90+ Bases on Balls in three other campaigns. Returning to present day, the Phillies are mired in a severe slump where they’re finding runs are about as hard to produce as water from a dry sponge. Our boys of Summer have been as impatient as children at church with little to no plan or approach at the plate, swinging their bats like orchestra conductors at a dubstep concerto. Show a pitcher you’ll offer at a ball outside the zone and they’ll pitch it outside the zone. Too many Phillies batsmen have been all too eager to flail away in undisciplined fashion, such as Ryan Howard (3 Walks), Ben Revere (4), and even Chase Utley (4). Please take note of that quote having been tweeted about two hours before game-time last night vs. St. Louis, a one-run loss which would also see the Phillies earn a big, fat zero in the walk column. For those keeping score, that’s zero walks in four straight games. Clearly with no change in plans at the plate, our boys have forgotten that sometimes the best things in life are free. The translation is quite simple, really, even in today’s game. So far in 2013, three of the top four National League teams in drawing walks (Reds, Rockies and Mets) are also the top three teams in runs scored. And while the Phillies are ranked sixth in hits as a team, they are 14th (of 15 teams) in seeing ball four which again translates to scoring runs, where they rank 11th in the National League. Combine all of this with a third place ranking in Strikeouts (126), they currently sit 13th in the NL with an OBP of just .291. To drive the point home, this is only slightly better than the cellar-dwelling Chicago Cubs and the lowly Miami Marlins. Yuck. It took the Philles 77 years to win their first World Series in 1980, however since that time, they have been to 4 more World Series in 1983, 1993, 2008 and 2009 – and took home the Trophy in 2008. The Phillies have finished .500+ or better for every year since 2002. However 2012 saw their streak of 5 straight NL East Division Titles come to an end. Now that they have started slow at 6 – 10 – can they come back to make the playoffs and a have a shot at a World Series in 2013? A big thank – you goes out to our Philadelphia Phillies Correspondent Chris Creighton for preparing today’s featured post.. Chris is a Phillies Phan, Baseball fan & player. He thinks that there is no better place for food and is a proponent of the city of Philadelphia. Huge U2 fan. Phillies writer at http://www.warroomphilly.com . Chase Utley and Ryan Howard guest starring on “It’s Always Sunny in Philadelphia.” I love this show and this episode, but it is wildly inappropriate and I would not suggest it for children. Chase and Ryan were awesome in it. 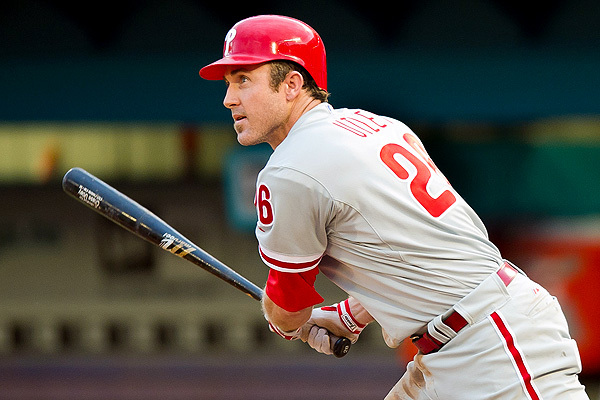 Ryan Howard and Chase Utley have played for the Philadelphia Phillies their entire careers to this point. They have been holding down the right side of the infield for the Phillies consistently since 2006 – and have been tearing apart pitching from the 3-4 slots in the lineup for equally as long. They each played in 100+ games every year since the 2006 season, until an injury plagued 2012 campaign for the duo. Howard managed to play just 71 games, and Utley only 83. Maybe age is starting to catch up with the 33 year old Howard and 34 year old Utley, and if it is, that is a terrible sign for the Phillies playoff aspirations because their offense has been built around the two (plus standout Shortstop Jimmy Rollins). I think the Utley – Howard combo still has productive seasons left with in Philadelphia, and 2013 should prove that. I expect them to be bright spots in the lineup for a team that has become largely reliant on their starting pitching to achieve success. If the “Big 3” in the Phillies rotation could repeat their 200+ IP and Sub 3.00 ERAs from 2011, the Phillies will be a force to be reckoned with in 2013. Also, if Halladay, Lee and Hamels duplicate their Career Win Percentages for their Careers (415-234, – .635) – they could net the team 60-70 Wins from just their 100 starts. If the other 2 starters just go .500, you could see a 90-100 Win Season. 2012 was a disappointing year for the Philadelphia Phillies, as they saw their stranglehold on the NL East diminish to the point that they missed the playoffs for the 1st time since 2006. In fact 2012 was the 1st time since ’06 that someone other than the Phillies won the NL East. The team is also not that far removed from a World Series championship which they won in ’08. In 2012 with the emergence of the Washington Nationals, and the re-emergence of a very capable Atlanta Braves organization, the Phillies found themselves finishing with an 81-81 record, only good enough for 3rd in the division. The Phillies saw themselves selling at the trade deadline, moving OFs Shane Victorino, and Hunter Pence, followed by a waiver induced trade of Joe Blanton. 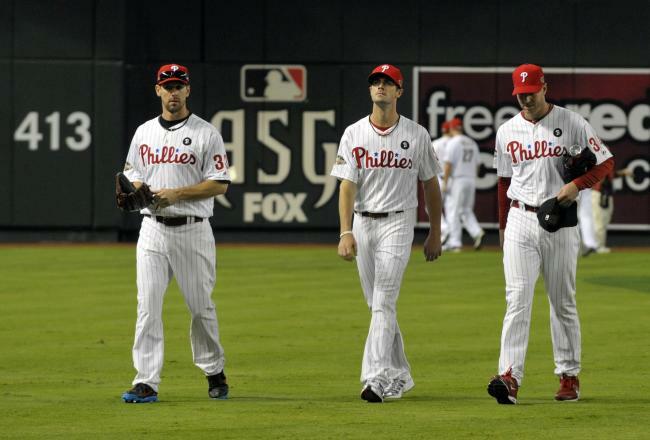 Make it clear though, Philadelphia plans to compete for the NL East again in 2013, made evident by their off-season moves. They are an aging team of veterans, with a depleted farm system, so this year might be their best chance to get back to the promise land and play some October baseball. The Phillies have a lot of money committed to players, so hopefully what they have on their current 40 Man Roster is enough. James Shields enjoys most of the Teams ALL-Time Pitching Records so far. David Price may not take very long to surpass all of his Franchise Records with Shields heading to KC now. The Rays had several lean years of pitching before a starter really made his mark. Out of the gate, Roberto Hernandez had helped the team with closing at least. In the early years, the best pitching was done by Rolando Arrojo, followed by Victor Zambrano, before he was traded for Scott Kazmir. The Mets/Rays trade was the foundation for the pitching staff finally evolving. Soon James Shields was up with the big club. In 2008, the teams 5 starters towed the hill for all season in what would be an eventual World Series Birth. 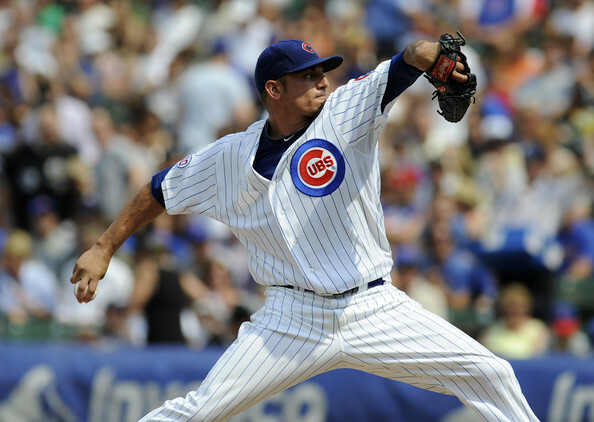 Newly acquired Matt Garza, joined Shields, Kazmir, Edwin Jackson and Andy Sonnanstine for double-digit wins and winning records. David Price was next to join the staff in 2009 and he has not looked back since. Jeff Niemann, Wade Davis, Jeremy Hellickson and Matt Moore joined the pitching staff in the next few years after that. The stable of bullpen relievers keeps coming and going. J.P. Howell has been the biggest mainstay there. Even with departing starters of Davis and (the Franchise Leader in several pitching categories) Shields, the team is not bare at the kitchen cupboard. The Rays finished 1st in Team Pitching ERA last year for all of the MLB. The next closest team in the AL was the Oakland – at almost a third of a run more. 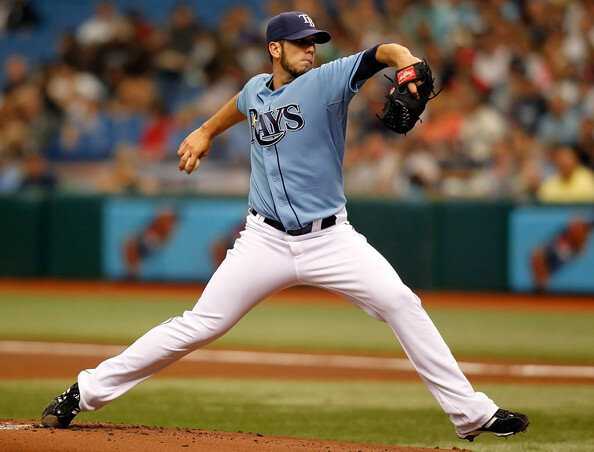 The Rays have been blessed with some great years recently out of lower salaried closers. Whether it was Troy Percival, Kyle Farnsworth, Rafael Soriano or Fernando Rodney, Andrew Friedman has had a knack for gluing together a bullpen on a shoestring budget. With David Price winning the Cy Young Award in 2012, the best pitching may be yet to come for the AL East Team. Honorable Mentions went to these players, but they were not the same caliber as everyone else: Esteban Yan, Andy Sonnanstine, Kyle Farnsworth SP/RP Rick White RP Lance Cormier and RP Jim Mecir. Scroll Down past the Franchise Links for the Pitchers or click on the Read The Rest Of This Entry Icon just past the Video Clip. Carl Crawford Leads as the ALL-Time Club Record Holder in most offensive categories. Will Evan Longoria run him down for all of the team records..or will the club trade him in a few years when his contract escalates in pay? The Rays have only been around for 15 years, however they have seen their share of talent grace the club. In their inaugural year, the club signed Free Agents Fred McGriff and Wade Boggs. A few years later when Boggs retired, they added Vinny Castilla, Jose Canseco and Greg Vaughn all to the club. This movement did not work out. It was the drafted talent of the club that started to surface in the early 2000’s. Aubrey Huff and Carl Crawford emerged as AL offensive threats. Other picks like Rocco Baldelli, Jorge Cantu and Jonny Gomes started out on fire, yet quickly flamed out. The club saw other guys come and go before the 2007 started to show what the team was really capable of. Carlos Pena gave them a bonafide HR guy. Soon Evan Longoria was called up to the Major Leagues and the club featured one of the best attacks in all of Major League Baseball. The offense has suffered a bit of a drop-off in the last few years, but newly acquired Wil Myers is one of the best offensive prospects in the game of baseball. Longoria is signed through 2023 and Ben Zobrist is a great all-around offensive talent signed for the next 3 seasons. While the team will still be predominantly based with great pitching, the club should see some well-rounded offensive players. Tropicana Field is one of the harder places to put up great numbers, so we will see what the future holds. We must look at the past. In these Series I have been doing for the teams, a lot of criteria had to be met to be included in the Franchises best hitters or pitchers. Obviously with a 15 Year Old team, the stakes are not raised as high. I still looked for significant contributions to the team. Of course if anyone ever leads the American League in any category, that is usually grounds for inclusion.